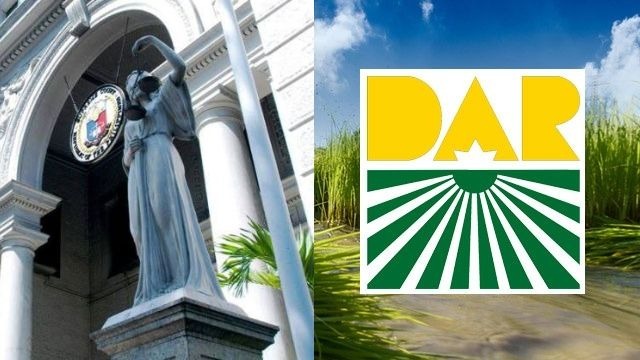 The Deparment of Agrarian Reform (DAR), who is to go under inquisiton, and Alyansa ng mga Manggagawang Bukid sa Hacienda Luisita (Ambala), who is to comment on DAR’s failure, are therefore summoned by the Supreme Court (SC) in order to fill in the details of the failed implementation of the 2011 SC decsion on Hacienda Luisita’s land distribution. 4,000-hectares of the said Tarlac hacienda was supposed to be distributed to farm worker beneficiaries (FWBs). Apparently DAR Secretary Rafael Mariano volated the Supreme Court’s ruling on the 500-hectare property that is owned by Rizal Commericial Banking Corporation (RCBC) by converting it to industrial land as per the conversion order issued by the DAR. RCBC filed a motion that resurfaced this Hacienda Luisita issue which claiming rights was also rallied for infront of the RCBC property by multiple militant groups, farmer and workers alike. The updated decison being the one that lets the farmer beneficiaries enjoy either options, to remains as stockholders of the Hacienda Luisita Incorporated or own a portion of Hacienda Luisita’s land. This and the previous resolutions were written by fourteen justices, led by Justice Presbitero J. Velasco Jr. which apparently had a denial vote on Hacienda Luisita, Inc.’s motion for clarification and reconsideration. Instead of the 2006 land valuation that the management of Hacienda Luisita was rooting for, it was the 1989 land valuation of the the hacienda was voted to be the amount the owners pay the farmer beneficiaries, with eight justices voting to affirm the November 22, 2011 resolution that it was under. Meanwhile the family and relatives of the former President Benigno Simeon “Noynoy” Aquino III was on the losing end of the stick and had no choice but to assure “full cooperation in the expeditious completion of the process”of the 4,915-hectare that the Supreme Court ordered to be distributed to farmer beneficiaries.